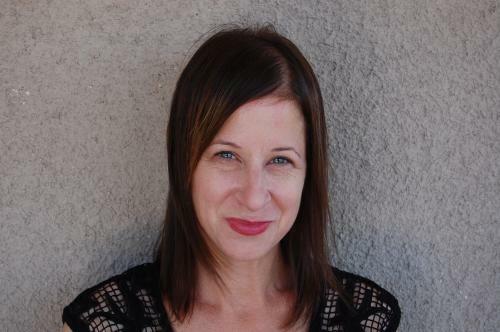 Author and editor Kate Bernheimer will be visiting Southeast in September as a part of the Nilsen Visiting Writer Series. Kate Bernheimer is founder and editor of the journal Fairy Tale Review, as well as a number of fairy-tale anthologies, including Mirror, Mirror on the Wall (Doubleday, 2002), and Brothers and Beasts (Wayne State University Press, 2007). She teaches creative writing and the fairy tale at University of Arizona. Bernheimer’s first three novels, a trilogy based on Russian, German, and Yiddish fairy tales, “The Complete Tales of Lucy Gold” (2011), The Complete Tales of Merry Gold (2006), and “The Complete Tales of Ketzia Gold” (2001), were published by Fiction Collective 2. Her short-story collection Horse, Flower, Bird was published in Fall 2010 by Coffee House Press. She edited the World Fantasy Award winning collection of short stories, My Mother She Killed Me, My Father He Ate Me: Forty New Fairy Tales, which was published in Fall 2010 by Penguin Books. She is also the author of an acclaimed book for children, The Girl in the Castle Inside the Museum, chosen as a best picture book of the year by Publishers Weekly in 2008. Her most recent book for children is “The Lonely Book,” illustrated by Chris Sheban and an Amazon.com “Best Books of the Month” selection for May 2012; it was published in April 2012 by Random House Children’s Books.